A double chin, also known as submental fat, is a common condition in both women and men that occurs when a layer of fat forms below your chin. A double chin is often associated with weight gain, but can also be caused by the natural aging process or simply be genetic, part of your DNA. The SculpSure® Hyperthermic laser treatment is now FDA- and Health Canada approved for non-invasive lipolysis of the submental area, as well the abdomen, flanks, back and inner and outer thighs. It uses light-based technology to safely heat and destroy fat or adipose tissue under the skin. This new technology is optimized to eliminate unwanted fat under the chin. The SculpSure® Submental applicator is designed to provide precise and effective treatments, resulting in a slimmer appearance of the chin and neck. Using the same non-invasive laser technology as the existing, well-proven SculpSure® body contouring system, the Submental is a single handpiece which fits comfortably under the chin and uses the same specific wavelengths and heat to eliminate cells for permanent fat reduction. It works by increasing the temperature of fat cells to the point where the structural integrity of the cell is damaged. Over time, the body naturally eliminates the damaged fat cells, resulting in a slimmer appearance of the chin and neck. The SculpSure® Hyperthermic laser permanently destroys adipose tissue in a 25-minute treatment, and provides a safe and effective option for body contouring, with no surgery or downtime, and no need for anesthesia. Results begin showing as early as six weeks post-treatment, and optimal results are evident in as little as 12 weeks. 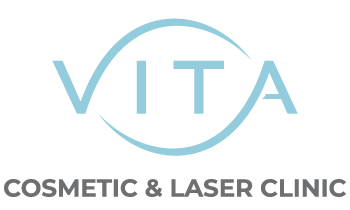 Vita Cosmetic & Laser Clinic offers double chin treatment, and body contouring. Contact us us at 416-639-1882 to schedule a free consultation. I consent to Vita Cosmetic and Laser Clinic collecting my details through this form. I consent to Vita Cosmetic & Laser Clinic collecting my details through this form.